Calibrating an AccuStage - NexSens Technology Inc.
To calibrate an AccuStage, make sure that the sensor is wired properly by referring to its Sensor Interface article. Next open iChart software with the current project file and click Advanced | Sensor Interface | AccuStage. The AccuStage Setup window will appear. 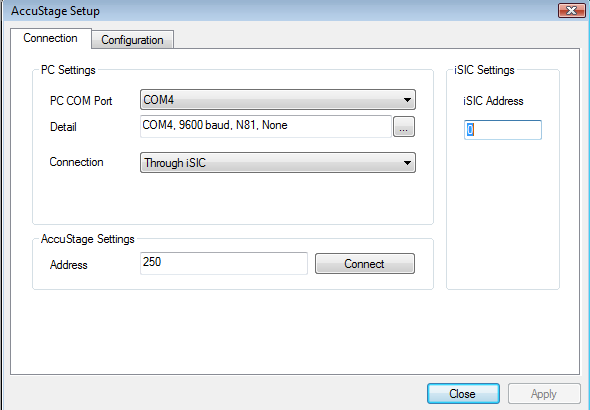 There are different Connection type options available, but calibration through a direct connection to the iSIC data logger is recommended because radio and cellular telemetry could time out. Confirm the COM port that the serial cable connecting to the logger is using. Select Through iSIC as the Connection type and leave the Address in AccuStage Settings at 250. Click Connect. 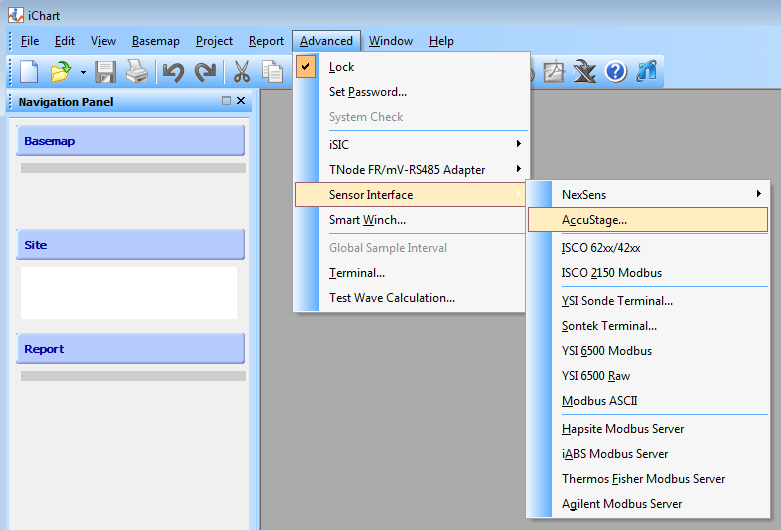 After the AccuStage sensor’s configuration has been read, navigate to the Configuration tab. Place a check mark in Edit. With the sensor out of water and in the air, click Zero Pressure. 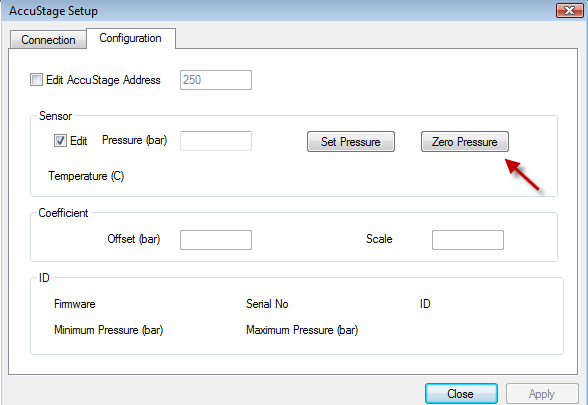 If two AccuStage sensors are connected to the same iSIC data logger and deployed at the same depth, enter the pressure in bars and click Set Pressure. Click Apply, then Close. The AccuStage has been calibrated.